In Part one of this article, I established that our potential lifespans are determined by repair mechanisms that kick into effect during our mid-twenties. At this benchmark, the aging process starts because random molecular damages begin to exceed repairs. Therefore, we should be examining the underlying causes of aging and the consequent repair of our disintegrating bodies to overcome and reverse random damages induced by, for example, hormone deficiencies, free radicals, and other miscellaneous deteriorating processes. Hormones are extremely dependent upon the food we eat (nutrition) and the exercise we get daily. In other words, those who eat properly and exercise will appear to be healthier and younger. Our vital repair mechanisms are dependent upon top nutrition, as exemplified by the Mediterranean, Japanese, and Scandinavian diets and not the North American junk-food diet.¹ Inhabitants of these first three regions of the world take their wholesome nutrition for granted, loaded with vitamins, minerals, and omega-3 oils. Nutrition is an integral part of their cultures that developed slowly and wisely over several millennia. Even residents of the United Kingdom are leaner and healthier, as determined by the fact that they suffer only one third as many heart attacks as Americans. On the other hand, over the last 50 years, inhabitants of North America have blindly become addicted to what I call ‘the road-kill diet,’ containing such monstrosities as extra-large portions of junk burgers, trans-fat French fries, sugary sodas, and donuts. Ingesting such foods undermines our vital hormones and paves the way for declining health and accelerated aging. If you doubt these statements, please screen movies from the thirties and forties. The American actors in these old movies are often lean due to superior eating habits of Americans before the junk-food bonanza started in the fifties. Changing from the road-kill diet to veganism doesn’t help much either because one is trading improved cardiovascular health for compromised brain health. In other words, a vegan or vegetarian diet often excludes the meat-derived vitamin B12, folic acid, magnesium, and protein that are sorely needed for a highly functioning brain (and body). Indeed, thanks, in part, to the road-kill diet, 24% of Americans have metabolic syndrome and 5.7 million Americans are pre-diabetic (1). A result of bad diets, typical signs of metabolic syndrome are insulin resistance, body mass index (BMI) greater than 25, blood pressure greater than 140/90 mmHg, and a waist/hip ratio greater than 0.5 in women and 0.9 in men. This latter ratio in men is apparent when one observes that many men’s belt buckles are slanted at a 45-degree angle or greater relative to their torsos. According to Dr. Thierry Hertoghe, the master hormones dehydroepiandrosterone DHEA and human growth hormone (HGH) decrease rapidly in our bodies as we age. In people older than 45 years old, I almost always find deficiency signs of these two master hormones. Basically, as aging progresses, DHEA-deficient people lose bone density and pubic and underarm hair, and their muscles atrophy. I was taught by the eminent Dr. Hertoghe to gently pinch the triceps of these older patients, and DHEA deficiencies reveal themselves in the form of soft, flabby, deteriorating muscles. On the other hand, triceps are usually firm in younger people with adequate levels of DHEA and HGH combined with a sensible diet and daily exercise. Generally speaking, when aging kicks in and damages exceed repairs, the triceps and most other muscle groups sag and become fleshy. The fleshiness of the triceps is indeed symbolic of older school teachers with triceps that flop and wiggle when they write on a blackboard. Other deficiencies, such as in the thyroid, also contribute to wagging triceps, and together, these three deficiencies bear responsibility for sagging internal organs and external sagging of the skin on the face, neck, back, and thighs. This leads to a shorter lifespan by an average of 12 to 15 years (2). According to the esteemed Dr. Hertoghe, 90% of a woman’s hormones originate from DHEA, a key master hormone. Supplementing 25 mg of natural DHEA daily in women improves their sense of well-being and firms up the body, in general. For example, I usually recommend this dose plus a little Armour® thyroid (15 mg to start; 30 mg as maintenance) for all my 80 and 90 year-old patients. Within three days, they usually experience a profound sense of well-being and renewed energy that they remember from decades past. Eighty- and 90-year-old patients always have across-the-board deficiencies in all hormones; thus, using supplements benefits them greatly. My simple daily regimen of natural DHEA (not synthetic 7-keto DHEA) combined with Armour® thyroid truly reverses some serious problems of aging, especially if these patients have been recently hospitalized and heavily drugged with synthetic chemicals that have not been FDA approved for patients older than 65 years (16). From my foregoing treatments, I can attest to the safety and effectiveness of low-dose DHEA, Armour® thyroid, and many other essential hormones and nutrients. As a rule, patients older than 80 years are sorely neglected by most health care providers. However, Dr. Hertoghe and I treat them enthusiastically with so many of the recent advances in anti-aging medicine. Men older than 50 years should supplement up to 50 mg daily of natural DHEA and approximately a quarter unit daily of HGH plus IGF-1 (herein referred to as the Cocktail) or, perhaps, for patients with more limited means, (or those who are needle phobic) sermorelin. On the other hand, women older than 50 years require up to 30 mg daily of DHEA and the Cocktail. The best procedure is to start with a one-tenth dose and incrementally increase the dose every 10 days until full maintenance dosages are achieved. Because a daily dose of one unit or more of HGH is expensive, one could substitute it for a cheaper growth–hormone-inducing secretagogue, such as sermorelin, or other boosters such as thyrotropin-releasing hormone (TRH). The Cocktail (and to a lesser extent, sermorelin plus GHRP-2) encourages vital resting cells of the endocrine glands to ‘wake up’ and begin producing hormones and other critical peptides essential for repair and the reversal of aging. These resting and wake-up processes are best explained in Endnote 1. In my opinion, the Cocktail is currently the most complete and optimal method of achieving hormone balance, although sermorelin plus GHRP-2 shows great promise for the future. I await future research. Using the Cocktail daily along with supporting nutrients (CoQ10, TRH, and DIM-Pro™), the emerging peptides, (Ed.- this is a story for another time), 8 hours sleep, and exercise will ensure more repairs than damages and therefore, an estimated extra 15 to 20 years of health and longevity. After 18 months on the Cocktail protocol, Dr. Hertoghe and I have observed improvement in seniors with their hearing, eyesight, sense of smell and taste, thicker and darker hair, gait and balance, and, finally, tighter skin in the vicinity of the abdomen, eyes, and jaw line. Blood work must show DHEA levels of more than 600 ng/dl and IGF-1 levels of more than 250 ng/ml (300 ng/ml in men). Interestingly, my own abdomen is tighter and firmer than those of my three sons. Together with this protocol, I encourage the use of mitochondrial enhancers, namely up to two capsules of ACF228™, 600 mg of ubiquinol (CoQ10), and approximately 20 mg of pyroloquinoline quinine (PQQ) daily. Cancer is the second leading cause of death in the United States. The aforementioned repair hormones and enhancers should be combined with nutrients that induce apoptosis, or, in other words, that kill unwanted cancerous or pre-cancerous cells. Unknown to most people is the fact that everyone older than the age of 40 has some benign cancerous or pre-cancerous cells living within their bodies. To keep these cells in a resting, benign state, the body uses several other wonderful nutrients for eliminating damaged cells through a process called apoptosis. For example, vitamin D3 is known to prevent 26 types of cancer (1). I recommend daily 5,000 to 7,000 IU to induce apoptosis or destruction of all unhealthy cells. This dosage reveals itself in blood tests where between 50 and 100 µg/ml of 25-hydroxyvitamin D3 are optimally detected. Add to the vitamin D3 a steady diet of cruciferous vegetables or their anti-cancer–active ingredient DIM that is contained in DIM-Pro™. This is yet another way to promote apoptosis, especially in intestinal cells. In this regard, I have observed that pre-cancerous ‘crypt’ cells may appear on the wall of the intestine. 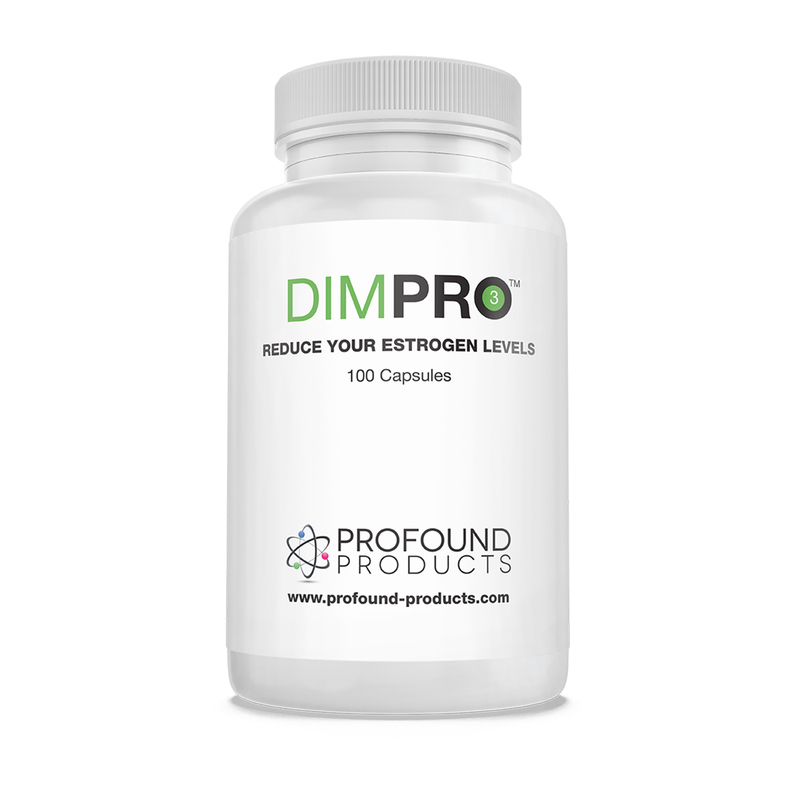 These cells develop into polyps, or pre-cancerous growths, that may be prevented by consuming a minimum of 2 g daily of fish (or krill) oil (4) and many other apoptosis-inducing nutrients, such as D3-Pro™, DIM-Pro™, and 1st Line™. In addition, these same supplements reduce the incidence of prostate cancer (5). Often, polyps are removed surgically when one has a routine colonoscopy, but I personally prefer to prevent their occurrence in the first place. Another method of preventing polyps is avoiding fatty food, especially food grilled or deep fried at temperatures higher than 300°F. With the single exception of ordinary butter, cooking oils heated to high temperatures may convert to carcinogens- so beware. 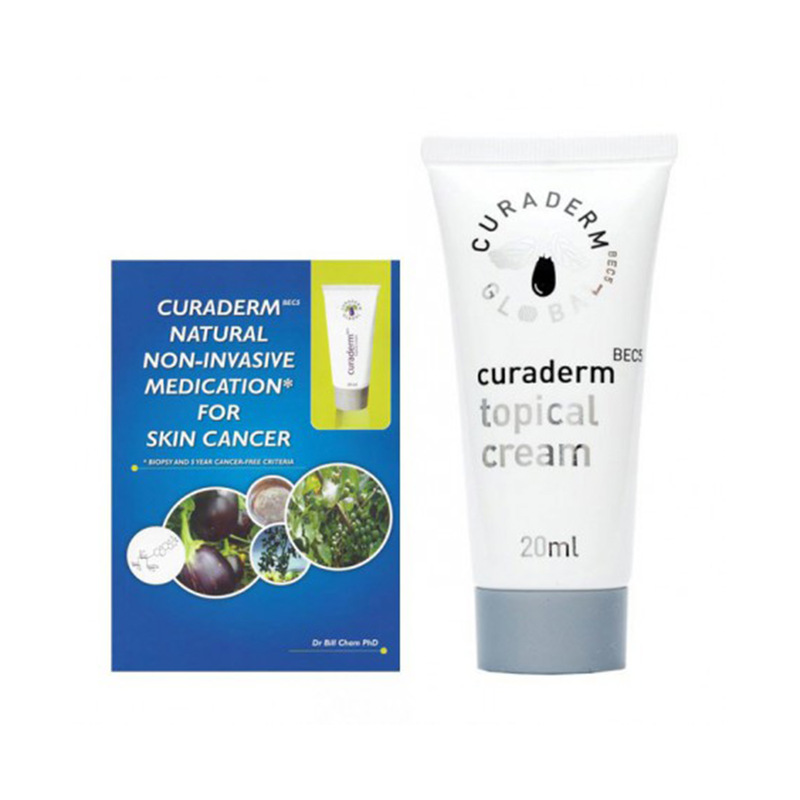 Still, another apoptosis–inducing nutrient is a cream known as BEC5® Curaderm. BEC5® is applied topically to the skin, and it kills cancerous or pre-cancerous cells through apoptosis. I rub BEC5® vigorously into a pre-malignant skin area or lesion, and several days later, I’ve sloughed off dead or dying skin cells. 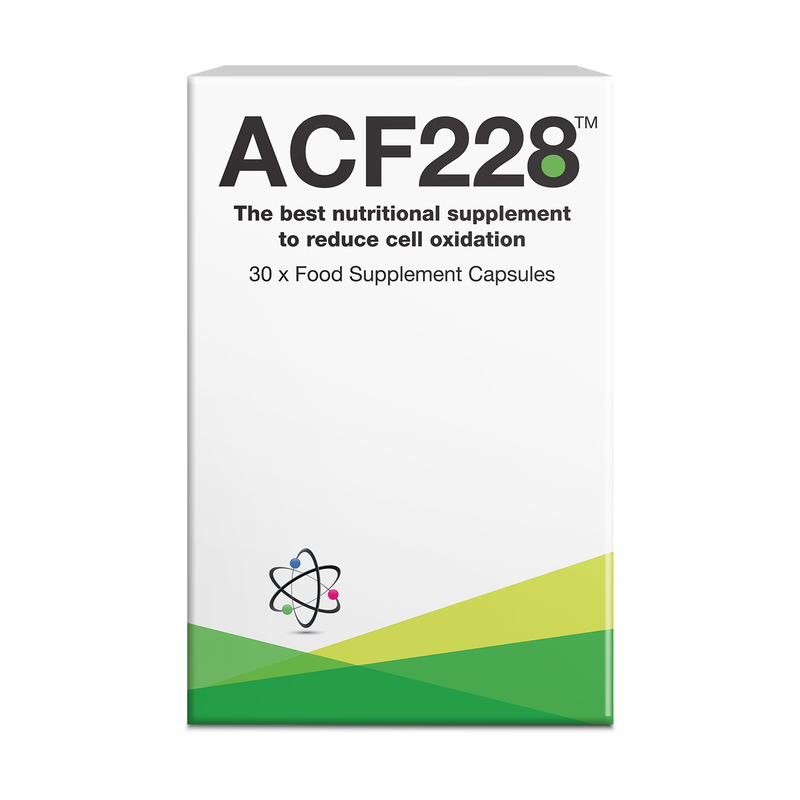 Furthermore, both Digestif™ and ACF 228™ contain several natural ingredients for inducing apoptosis in malfunctioning cells (6). I recommend two capsules daily of Digestif™, because this regimen contains sufficient quercetin to shut down four types of cancers. Effective shut-down may also be achieved in colon cells called ‘aberrant crypt foci’ (7, 8). Quercetin (Digestif™) also prevents early lung cancer lesions (7), pre-cancerous liver cells caused by toxin-induced DNA mutations (8, 9), and potential prostate and breast cancer cells by blocking androgen receptors (10) and promoting cancer-suppressing receptors (11). Quercetin also benefits the patient by inducing anti-inflammatory action, especially in the intestinal track and cardiovascular system (12–14). Finally, an often overlooked cancer-preventative hormone is melatonin (MZS™ which is Dr. Pierpaoli’s melatonin combined with zinc and selenium) (15). For example, the totally blind rarely acquire malignant cancers because their melatonin blood levels are higher than normal sighted individuals (16). All of the previously mentioned supplements improve long-term outcomes for hormone repairs. Multiple hormone deficiencies do not just rip through and deplete bone, muscle, and skin. Indeed, they also fragment the mind like a fist to a mirror. We call this ‘memory loss’ or ‘cognitive impairment,’ and they can be prevented by balancing hormones combined with critical apoptosis-inducing nutrients. Because cancer is common in older people and is the second leading cause of death in the United States, I strongly advise supplementing daily with apoptosis-inducing, cancer-killing nutrients. It’s possible to gain an extra 15 to 20 years of healthy lifespan by balancing hormones and holding pre-cancerous and cancerous cells at bay. 1. Bronwell, Logan. 2012. Life Extension, pp.27. 2. Hertoghe, Thierry. 2011. A4M conference, Las Vegas, NV. 3. Hertoghe, Thierry. 2011. The Hormone Handbook, Vol. 2. Int. Med. Pub., Surrey, UK4. 4. Courtney, ED et al. 2007. Int J Colorectal Dis. 22(7), pp. 765-776. 5. Aronson, WJ et al. 2011. Cancer Prev Res (Phila), 4(12), pp.2062-2071. 6. Yang, K et al. 2000. Carcinogenesis, 9, pp. 1655-1660. 7. De David, C et al., 2011Toxicol Pathol, 39(6), pp. 949-957. 8. Yang, JH et al. 2006. Drug Metab Dispos., 34(2), pp. 296-304. 9. Granao-Serrano, AB. 2012. Nutr. Cancer, 64(4), pp. 588-598. 10. Gee, JM. 2002. Natr. Cancer, 43(2), pp. 193-201. 11. Yuan, H et al. 2010. Mol Cell Biochem, 339(1-2), pp. 253-262. 12. Van der Woude, H et al. 2005. Mol Nutr Food Res, 49(8), pp. 763-761. 13. Warren, CA et al. 2008. J Nutr., 139(1), pp. 101-105. 14. Kaindl, U et al. 2008. Food Chem Toxicol., 46(4), pp. 1320-1326. 15. Lee, EJ et al. 2010.Inflamm Res, 59(10), pp. 847-854. 16. Lippman, Richard. 2009, Stay 40. Outskirts Press, Boulder, CO.